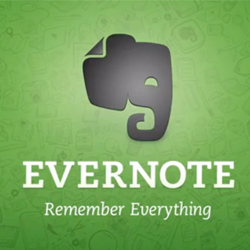 I’ve been using Evernote on my smart phone and desktop for many years. They have a solid product and have been consistently improving it since their original product launch in 2007. Today they have over 100 million users and 400 employees … and they are NOT Google. Sure, I like Google and they have a similar product, but Evernote has a desktop app for Mac and PC, a smart phone app for most platforms, and naturally a web interface too, so supporting this awesome company is easy. Plus they have a “free tier” plan too, so you can take advantage of their core services at no charge. The company Evernote builds apps and products that are defining the way individuals and teams work today. As one workspace that lives across your phone, tablet, and computer, Evernote is the place you write free from distraction, collect information, find what you need, and present your ideas to the world. So, how can you use Evernote and your SNOWPRO PORTAL™ Individual website to keep your client data more accessible? Well, here’s how. When you are using your slope side client CRM / email tool on your Individual SNOWPRO PORTAL™website, set the admin notification to blind carbon copy (BCC) your private Evernote email address. Then whenever you use your Slopeside Client Notification form, your entry will be both saved into your Individual Pro Site’s backend database, sent as an email to your personal email AND saved as a new note into your default notebook in Evernote. Below is a quick video tutorial on how to set this up. Enjoy!